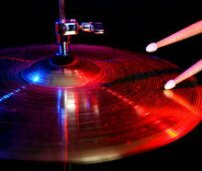 How Fast Should I Practice Snare Drum Rudiments? When practicing rudiments with a metronome how many bpm should i start out with and what should be the max? Good decision to practice with the metronome! Start out at a tempo at which you can repeatedly perform the rudiment perfectly. Then gradually increase the tempo by a few BPM until you reach at tempo at which you cannot perform the rudiment perfectly. Go back to a tempo at which you played perfectly and then perform several perfect repetitions. The next day, start you r practice at a little below the top speed of the day before and repeat the above procedure. By the way, you will want to check out our Almost Free Drum Tabs.